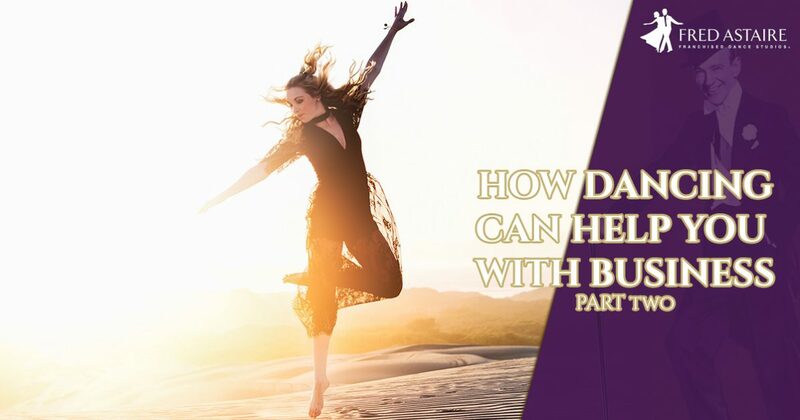 In the first part of this blog series, we discussed a few of the ways that learning to dance can help improve your work life. Practice, flexibility, and awareness of your surroundings are all important factors in dance and in business, and perfecting them in one field can help you apply them in the other. Today, we will continue to look at the ways that dance can inform and influence your business in positive ways. If you have been thinking about taking dance lessons or this blog series has inspired you to give dance classes a shot, give us a call at Fred Astaire Dance Studio in Reston. We have classes in many different kinds of dance, and for dancers of all ages and experience levels. Our instructors are wonderful dancers who want to help you move more confidently both on the dance floor and in other areas of your life, so contact us today to learn more about our studio and to sign up for a free introductory lesson! Technique can seem like an amorphous concept, but in this blog we will define it as the way that someone performs a task. In business, technique is an important part of the value that you offer the company you work for. Technique is what makes the difference between being a reliable team member and being someone that may not be able to be counted on in any given situation. If you work at developing a technique that is exact and efficient, your coworkers and superiors will go to you in order to get things done. One of the most important parts of dance is working on mastering your technique. While nailing a dip is different than slam-dunking a presentation, both require an attention to detail and a willingness to practice again and again in order to achieve perfection. The skills associated with practice in dance will help you develop better working techniques because, as you see improvements in your dance techniques, your brain will realize that practice really can improve skills that were atrophied or didn’t exist in the first place. Working at developing a skill can lead you to fall back in love with something that you had grown tired of and it may even give you a new appreciation for a part of your job that you thought you didn’t care for. If you are ready to take your business skills to the next level, a dance class at Fred Astaire Dance Studio in Reston might be the best way to do it! Contact us for information about our foxtrot, waltz, tango, swing, or salsa classes now. Dance can help you be better at your job and it will make you feel better physically and mentally.